Imagine how you would feel to see your pet acting calm, relaxed, perhaps even happy during visits to the vet. Well, the Fear-Free Initiative and your CoastView staff are helping to make it a reality. The entire team embraced and is enthusiastically practicing the calming and low-stress techniques taught in the official Fear-Free Professional Certification courses. And the pets are responding in amazing ways. But don’t take our word for it. See for yourself. Here are just a few of the ways pets are responding favorably to the Fear-Free Way. 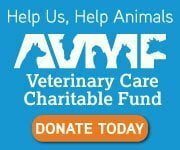 After the vaccine withdrawal, we change the needle to an extremely small-gauge needle we’ll use to administer the vaccine (most pets don’t even realize they were given a shot – see the videos below as proof). Use little to no restraint. Provide a menu of ‘high-value’ treats to use as delicious distractions from the vaccination session. Allow pets to choose where they feel most comfortable; on the floor, on a yoga mat with good traction, on a soft and cuddly blanket, in a chair, or cradled in our arms rather than the usual cold, slippery, metal exam tables. Setting-up your pet for success begins at home. Here is a link to the Fear-Free Happy Homes downloadable resources. As always, feel free to contact us if you have any questions or concerns.